Our lives are full of hazards. The press gleefully brings fear, uncertainty and doubt into our homes on a nightly basis. So how do we figure out which risks we actually need to worry about? In transportation, the biggest risk is our favorite toy: the car. 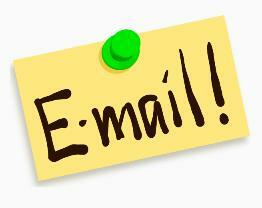 Sadly, 33,561 people perished in car accidents in 2012. "Medical errors linked to 440,000 deaths per year"
In a recent Floydcast I talked about infant mortality, with the U.S. ranked #34, (5.4 per 1000) despite being the country with the most fluoridation, most vaccines, and most money spent on medicine & dental "prevention". With 3,952,841 babies born in the U.S. in 2012, an Infant Mortality Rate (IMR) of 5.4 translates to 21,345 American children a year not making it to their first birthday. 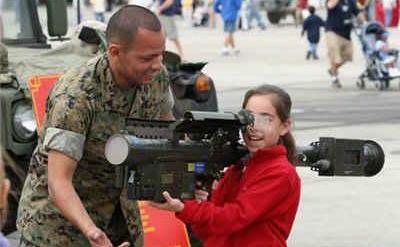 Something is causing the ultimate harm to our children. What is it? Or what are they? Time for the scientific method. There are many different ways to measure harmfulness. Let's define some common terms first. So the MCL is important, in that it governs the bad stuff in our drinking water. The MCL is unimportant (i.e. not applicable) when it comes to things other than drinking water. So the LD50 allows you to equate toxins. One drawback is that the LD50 is a very rough rule of thumb. 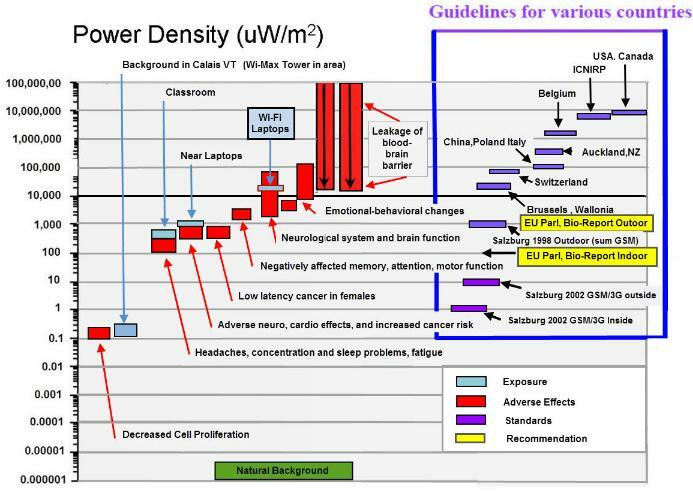 More on toxicology, including an informative table (#2) showing the required warnings for various levels of toxicity. The NOEL (no observable effect level) is the highest dose or exposure level of a poison that produces no noticeable toxic effect on animals. ...In toxicology, residue tolerance levels of poisons that are permitted in food or in drinking water, for instance, are usually set from 100 to 1,000 times less than the NOEL to provide a wide margin of safety for humans. The NOEL is a great measurement. Unfortunately, many things in our lives are present at a level much higher than the NOEL. the dose that kills half the test subjects, as the ideal measurement unit. The twist I will put on the LD50 is to use it to compare one toxin to another. To equate poisons, allowing you to "pick your toxin, adjust your dose." So let's look at harmful things commonly found in our environment. In presenting this information, considerable effort has been made to make it (1) easy to read at a glance (through color coding), (2) easy to access in different ways ("Jump To" sections), (3) easy to put toxins in perspective ("Increasing Toxicity" section at bottom) and (4) natural sorting the document by how easy it is to avoid a toxin. 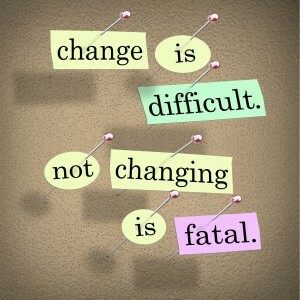 As we progress through the document, toxins becomes harder and harder to avoid. In 1973 the EPA Administrator urged a mandatory ban on all candles with lead-containing wicks. As a result, a voluntary ban was approved and then not complied with or even monitored. "Burning two candles a day in the home increases exposure to airborne lead by a factor of 5 or more...The EPA determined that burning candles with lead-containing wicks exceeded the current EPA air quality standard by over 10 times. 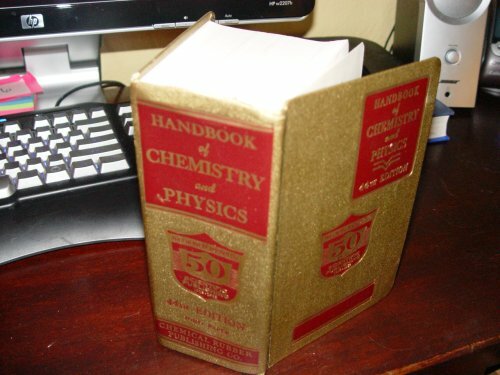 This page lists the 1978 lead standard at 1.5 �g/m3. Working backwards, assuming an 8 foot by 8 foot room. Room volume would be 512 cubic feet. 0.0283 cubic meters per cubic feet. Net release of lead: 14.5 cubic meters * 1.5 micro grams / meter cubed * "10 times" = 217 micro grams. 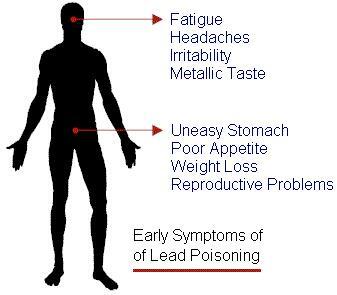 The LD50 of Lead is 450 mg/kg. 450 mg/Kg * 80 Kg gives an adult whole-body LD50 of 36 grams. For comparison, fluorine is more toxic than lead, yet is available in doses up to 2,100% of lethal as you will see below. If lead-wicked candles concern you, fluoride should concern you approximately 3,483,871 percent more. Soda pop is one of the most easily avoided things we consume. We will ignore caffeinated sodas in this section, as we cover caffeine later on. Sucralose is a man-made somewhat sugar-like compound. 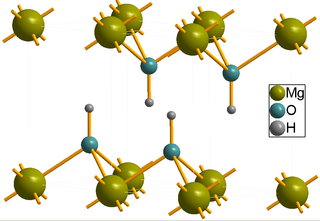 In the picture above, the three green balls are the chlorine atoms. The same atoms found in bleach, mustard gas and dry cleaning fluid. There have been cases of people drinking 2 liters of soda per day for 15 years. However, one person's 3 liter per day habit seems to have been too much. Let's drink 3 liters (i.e. 101.4 ounces) of sucralose soda and find out. Amount of sucralose in a soda: up to 40 mg per 12 ounces. 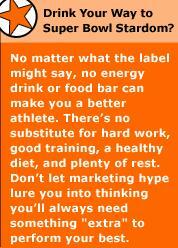 "Sucralose is the only chlorinated compound approved for human consumption." For the 3 liter per day person, the estimated daily intake (EDI), if they were 80 Kg, was 338 mg divided by 80 Kg -- more than 4 mg/kg/day. Working backwards, 1.1 mg/kg/day equates to 88 mg Sucralose per day. Which is about 26 ounces of soda. Less than one liter. Hmmm, lots of people are drinking more than this. NutraSweet -- where's the nutra? 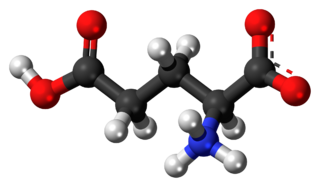 Aspartame, also called NutraSweet is a very popular artificial sweetener. Sucralose is gradually taking market share from Aspartame, in part because sucralose is three times sweeter. A complicated molecule, the benzene ring (top) and faintly blue amide groups highlight the artificial aspects of this frankensugar. Let's drink 3 liters of NutraSweet soda. NutraSweet.com says the LD50 is 5,287 mg/Kg. Cancer.org says one soda usually contains 180 mg of NutraSweet. Wikipedia says that Acesulfame Potassium (also called Acesulfame K, and Ace K) is "as sweet as Aspartame". 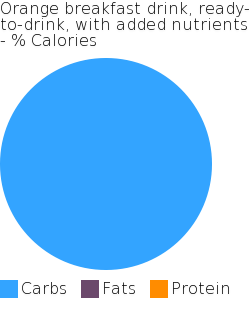 By the way, "K" is the chemical symbol for the element Potassium, and is the purple disconnected ball in the graphic above. Sulfur, represented above by the gold ball, is a clue that we have left the land of natural sugar compounds. 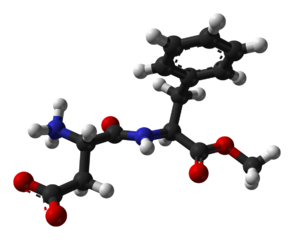 With an LD50 7431 mg/Kg (rat), it has a similar toxicity to Aspartame. We mention it here so that you will recognize this new artificial sugar when you see it on food and beverage labels in the future. While many drinks could be considered energy drinks, today the category is defined by names like Red Bull, Rockstar, Monster...and relative newcomers like 5 Hour Energy. If the commercials are to be believed, Gatorade created the category somewhat by accident. An unappealing drink was handed out on the sidelines of football games. Containing more than just water and oranges, it became the Florida Gator's worst kept secret. 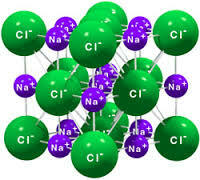 Salt, the Sodium Chloride form, was the first addition. To replace some of the salt lost due to sweat. As science got more involved, things like potassium (another essential body ion) were added. As nutritionists and sports scientists got involved, they found that fluid replacement drinks were only needed after the most extreme exercise. Some years back I worked for the city, performing yearly tests to ensure that thousands of fire hydrants were still functional. The Water department's main waiting room -- you spend a lot of time waiting when you work for the city -- was where I first saw people drinking Gatorade. Before going out to work. There was even a special product for just this purpose: Gatorade A.M.
Gatorade now has a G series, with "before", "during" and "after" drinks. Then there are the more radical energy drinks. Perhaps pioneered by Red Bull, there are now dozens, if not hundreds of energy drink variations. Let's look briefly at a few of them. Red Bull, in its rather small 8.4 ounce can, has 80 mg caffeine and 27 grams of sucrose & glucose. Their web site describes the sugar as about equal to that present in 8.4 oz of orange or apple juice. It also has a gram of Taurine and some B vitamins. Rockstar energy drink doubles these numbers, with 160 mg caffeine and 63 grams of sugar (two Snickers bars worth - Source). In a 16 ounce can. Wikipedia says you should figure 10 mg/oz of caffeine for Monster energy drinks. So, for a 16 ounce can that would be 160 mg, with the 24 ounce can having about 240 mg caffeine. 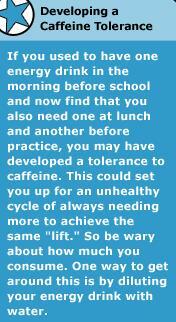 The Caffeine Informer web site is helpful for learning more about energy drinks. Getting to the heart of the matter, an energy drink can be a heart stopper. Sadly there have been enough cases to launch investigations, and even lawsuits. The problem comes from things like energy "shots" that have more caffeine than the "10 mg/oz" ratio energy drinks originally adhered to. Monster X-spresso, for example, is a 6.8 ounce product but instead of having 68 mg of caffeine (i.e. 6.8 * 10), it has 221 mg.
Redline, an 8 ounce drink, has 316 mg caffeine. This is four times the caffeine of a similarly sized (8.4 ounce) Red Bull. The 5 Hour Energy shot comes in a 2 ounce container but instead of 20 mg of caffeine it has 200 mg.
5 Hour says this is about as much as a cup of premium brewed coffee. True enough, but the caffeine in the shot is 4 times more concentrated than in that cup of coffee. Some "energy" potions have even more caffeine per ounce, making them basically liquid caffeine pills. Let's compare some of them to No-Doz. No-Doz pills are caffeine pills, the box says "Safe as coffee" and "No-Doz Maximum Strength" contains 240 mg of caffeine. The strongest "liquid caffeine" drink I could find is Energy Catalyst. One shot of this is a mere quarter of an ounce -- a teaspoon and a half. Delivering 100 mg caffeine, this works out to 434.8 mg caffeine per ounce. Basically, "a cup of coffee per tablespoon". And here is where a new problem emerges. Bartender, energy shots for everyone! It has become popular to mix energy drinks with alcohol. Medically, alcohol is downer. Energy drinks are an upper. One cancels the other...almost makes sense, right? Alcohol is a downer in part because it is a poison. 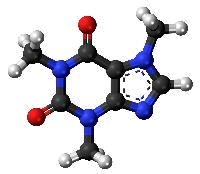 Caffeine, a "bitter, white crystalline xanthine alkaloid", is also a potent toxin. So what normally saves the average person from caffeine problems? Experience. Observing the cause-and-effect from something as minor as an extra late night cup of Joe is usually enough to make us think twice before doing it again. Bar patrons are not known for their scientific pursuits. Alcohol impairs judgement. As does youth. It is one thing to drink a Red Bull with your beer. It is quite another to use energy shots as drink mix. When you do that, every drink of alcohol delivers up to 242 mg of caffeine. For a 110 pound student, the "percent of lethal" hit from 242 mg of caffeine in a 2 ounce energy shot equals the "percent of lethal" hit from the ounce of hard liquor. 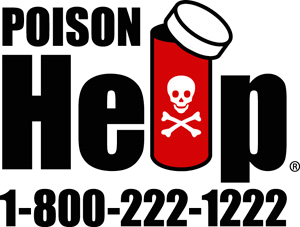 The American Association of Poison Control Centers tracks all the calls they receive from intentional or accidental overdose of all kinds of substances and drugs including caffeine and energy drinks. AAPCC took 4,265 calls that involved caffeine poisoning. 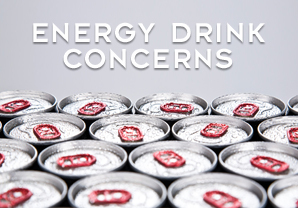 About three in ten of those involved energy drinks. The web page containing this information is called "A real life death by caffeine". Energy shots can be avoided. Trying to avoid a chlorinated swim is not so easy. 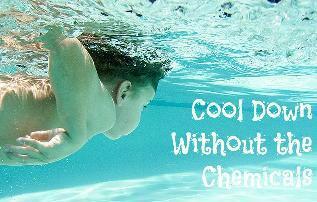 The target amount of chlorine in swimming pool water is 1 to 3 ppm. 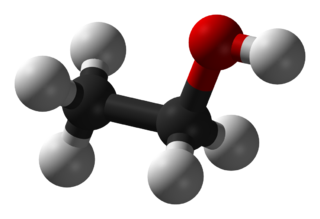 At 3 ppm, the free chlorine in a swimming pool is just one-tenth of what it takes to form hydrochloric acid...in your lungs. The safety factor of being less than one-hundredth of the NOEL is NOT being observed. Dr. Mercola on pool chlorination. Yes, you could be swimming in chlorinated fluoridated water. All it takes is for your pool to be in a fluoridated water area. So, let's "dip into" the fluoride section below, where we find the LD50 of fluoride is 50 mg for a 22 pound (i.e. 10 Kg) child. This person systematically weighed themselves, before and after each swim, and found that they absorbed 7 to 10 pounds of water per swim. At 454 grams in a pound, and 1 ppm fluoride, that is 3.5 to 5 mg fluoride absorbed per swim. Scaling for the fifteen times lighter 22 pound child, we get about 0.5 mg fluoride absorbed. Pharmaceuticals -- helping me, right? "ASA" -- As Safe As...? Acetylsalicylic acid, also called Aspirin, is somewhat like "a glass of wine a day". Something we have been repeatedly told is G-O-O-D. The LD50 for Acetylsalicylic acid is 1750 mg/Kg. So what about "baby Aspirin"? I don't know about "healthy", but it appears the suggested doses of Aspirin are low enough to pass our toxicology gut check. But how do you feel about "bleeding under the skin"? 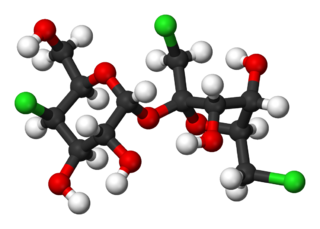 Acetylsalicylic acid has a blood thinning property. For medical types, this is considered a good thing -- pop a pill, thin your blood, "reduce your chance of having a stroke" -- pure win! 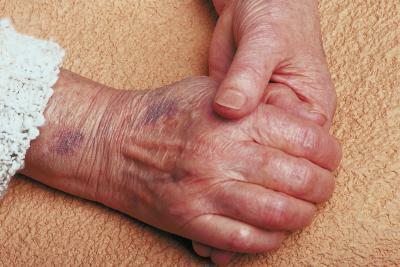 Well, next time you see an older person with purple-to-black discoloration of the skin on the back of their hands, just ask them if they take a blood thinner. Interesting that when I typed "bleeding under the skin" and "bleeding under the hand" into Google Images, it didn't show almost any pictures of this particular type of bleeding. I counted one, out of several hundred I looked at. YMMV. You can never accuse the medical profession of wanting to air their dirty laundry in public. Ibuprofen -- the only useful drug? Ibuprofen The LD50 for rats is 636 mg/Kg. 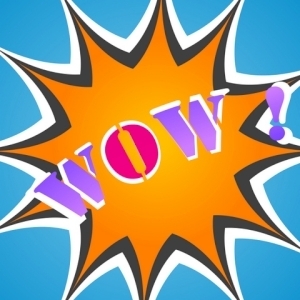 For our 80 Kg human, the LD50 would be 50,880 mg -- 636 mg/Kg * 80 Kg. The maximum prescribed dose is 3200 mg per day. Comment: Yes, Ibuprofen is in my bathroom cabinet. It is also in our first aid kit, on our kitchen counter, and in my truck. Yet I take, at most, a single pill of it a year. I don't believe in taking drugs regularly. 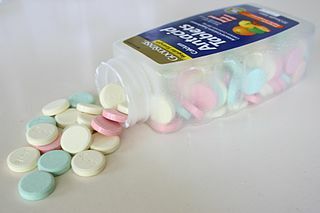 I take Ibuprofen, and Ibuprofen alone, because it can do something that sometimes I think needs doing -- reduce swelling. But these are drugs, after all. They work, typically, by doing something bad. A trade-off at best, they always produce side effects. Ibuprofen, for example, affects your kidneys. By the way, that "kidney" link above suggests the maximum prescribed daily dose is 2400 mg. I'm not a doctor, I'm not recommending a dose, but I will say "use as little as possible" for this, and all drugs. My most common side effects, whenever I research "drugs", are increased stomach acid, higher blood pressure and a need to do some deep breathing. It greatly frustrates me that side effects are routinely ignored, while doctors prescribe drugs that -- allegedly, might, if you believe the only two studies that were favorable -- help you. "commonly used for the relief of headaches and other minor aches and pains and is a major ingredient in numerous cold and flu remedies." TylenolProfessional.com says a dose is 1000mg (or 1 g). The maximum daily dose of acetaminophen is 4 grams. Did that sound like a solution? The range of concerns and list of side effects from Paracetamol are pretty substantial. Personally, I strictly avoid taking pills to manage pain. I've found that trying to work on the cause of the pain, and managing chronic pain with breathing and other healthy living measures, is my best bet. Ingesting over two grams of elemental calcium per day produces this disorder in susceptible individuals. So 2 grams/day is a harmful level. In trying to find out the usual dose, I clicked the first antacid listed, Alka-Seltzer. No dose was mentioned on Wikipedia's Alka-Seltzer page. 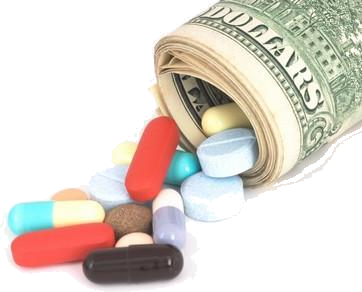 Drug companies are always encouraging you to "see your doctor", etc. They don't want to be guilty of recommending a dose, then for you to have harmful effects from that dose. Does that sound healthy, or health inducing? Anhydrous Citric Acid 1000 mg - Antacid. Aspirin 325 mg (NSAID)* - Analgesic. Sodium Bicarbonate (Heat-Treated) 1916 mg - Antacid. Since Alka-Seltzer contains 325 mg of Aspirin, we can calculate an LD50 percent for that. One "effervescent tablet" also contains 2 grams of Sodium Bicarbonate. The LD50 of Sodium Bicarbonate is 4220 mg/Kg (rat). 4220 mg/Kg, times 80 Kg, is 337,600 mg (or 337.6 grams -- about three-quarters of a pound). So as not to appear to be picking on any one brand, and to show the wide chemical variation in these products, I'll review a few more antacids. Maalox (tablet) has a listed chemical formula of CaCO3. [Calcium Carbonate] is commonly used medicinally as a calcium supplement or as an antacid, but excessive consumption can be hazardous. 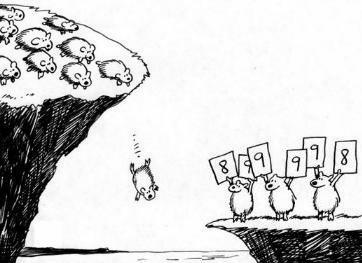 Where is the safety factor? What I find puzzling is that a problem is reported when taking CaCO3 "above" a recommended range. With no quantitative measure mentioned. Anyway, we will use our % of LD50 analysis. Calcium carbonate has an LD50 of 6450 mg/Kg (rat). 6450 mg/Kg, times 80 Kg, is 516,000 mg (or 516 grams -- just over a pound). 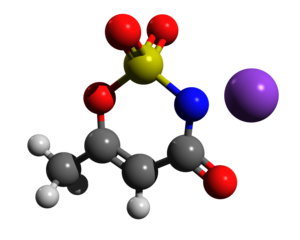 Wikipedia's Mylanta page lists three ingredients: Al(OH)3 and Mg(OH)2, and Simethicone (an "anti-foaming agent used to reduce bloating, discomfort or pain caused by excessive gas"). 5000 mg/Kg, times 80 Kg, is 400,000 mg (or 400 grams -- 90% of a pound). Regular strength Mylanta has 200 mg each of Aluminum Hydroxide and Magnesium Hydroxide, and 20 mg of Simethicone. 2780 mg/Kg, times 80 Kg, is 222,400 mg (or 222 grams -- about half a pound). 980 mg/Kg, times 80 Kg, is 78,400 mg (or 78.4 grams -- about 3 ounces). Caffeine -- the most loved drug? Even though caffeine appears to be easily avoided, the combination of it being mildly addictive, and it appearing in literally thousands of products, make it something we have grown to expect in our lives. This page, for example, lists several hundred caffeine-containing candies. There are similarly hundreds of caffeinated sodas. And chocolate bars. And different types of coffee. And tea. 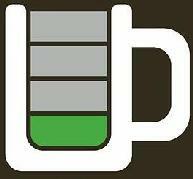 The LD50 for caffeine is 150 to 200 mg/Kg, or 80 to 100 cups of coffee for the average adult. 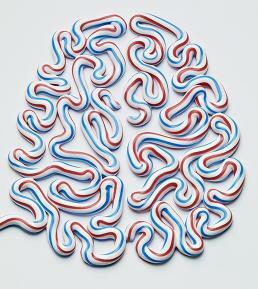 This makes caffeine about 25 to 66 times more toxic than NutraSweet (i.e. Asparatame) or Sucralose. An LD50 of 150 mg/Kg, times 80 Kg, is 12,000 mg.
Our personal doses vary substantially. Fortunately the mighty Mayo has weighed in on the subject. Let's brew some "medicinal" Joe then crunch some numbers. Returning to our soda pop calculations, for the 3 L per day person, and using 55.5 mg of caffeine per 12 oz, we get 101.4 ounces, times 55.5 mg/12 ounces = 469 mg caffeine per day. is 4 to 6 cups per day. Did I mention my coffee strategy includes periodically going off it, sometimes for years at a time? 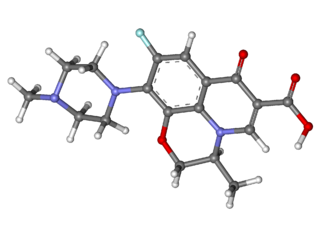 "Drugs such as fluvoxamine (below) or levofloxacin (left) can have a similar effect by blocking the liver enzyme responsible for the metabolism of caffeine, thus increasing the central effects and blood concentrations of caffeine five-fold." Nicotine comprises up to 3% of a tobacco leaf. An average of 1 mg is absorbed from smoking one cigarette. The LD50 for humans is 1 mg/Kg. Making nicotine 2,000+ times more poisonous than salt and 7 times more toxic than cocaine. Observation: in order to "safely" dose yourself with cigarette smoke, only 1 cigarette at a time should be smoked -- when considering the toxic effect of the nicotine alone. By the way, pound-for-pound, nicotine is 100 times more deadly than alcohol. 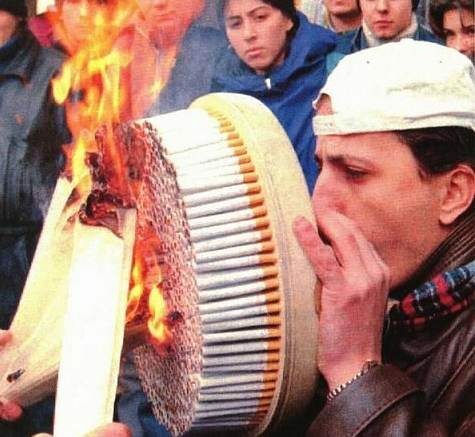 Wait, why would you eat a cigarette? Imagine you spend your days walking around on all fours, biting table legs and drooling. Kids eat the darndest things. The average cigarette contains 9 mg of nicotine. If you eat it, your intake is all 9 mg.
1 mg per Kg is enough to kill. 9 mg of nicotine could kill a 9 Kg (i.e. 20 pound) child. 81 mg (9 cigarettes) could, in theory, kill an adult. with cigarettes in their mouths. Methicillin Resistant Staphylococcus aureus (MRSA) This article makes the connection between nicotine and MRSA. "Smoking weakens the immune system and lowers the ability of human cells to fight infection. Smoking cigarettes, and breathing in second-hand smoke, puts people at risk for developing severe lung and respiratory track infections. Smokers are two to four times more likely to develop pneumococcal pneumonia than non-smokers. Cigarette smoking also increases the rates and severity of influenza infection and increases the risk of tuberculosis." It seems that 20% of the population are MRSA carriers. 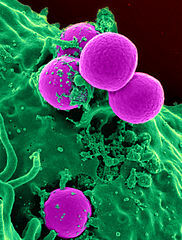 MRSA most commonly lives in the nasal passages. And nicotine "induced resistance to antimicrobial peptides" -- stuff our bodies make to kill bacteria like MRSA. The CDC says smoking "harms nearly every organ of the body". The National Center for Biotechnology Information (NCBI) says there are "human inhalation risk values for 98 components" of cigarette smoke, including "9 known human carcinogens". This report says "Cigarette smoke contains over 4,700 chemical compounds including 60 known carcinogens." 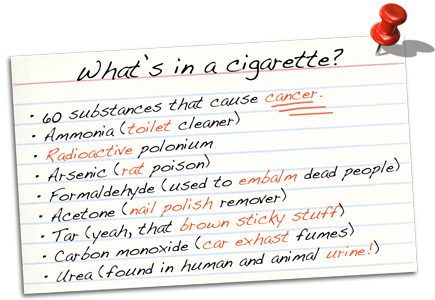 There is also a non-trivial amount of radioactive "stuff" in cigarette smoke. Alcohol (or Ethanol) Such a simple (and natural) molecule, alcohol is hard for us to handle because the enzyme needed to break it down has to be manufactured in the liver. 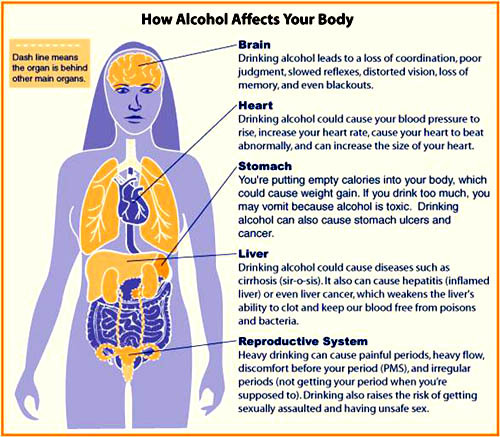 The liver only makes enough enzyme to handle about an ounce of alcohol per hour. Drink faster than that and you find yourself accelerating down a toxic road. The average consumption of alcohol is 4 drinks per week. We will assume this translates to one drink at a time, on four separate days of the week. In a single one-ounce drink of hard liquor there is 40% ethanol. 40% * 1 ounce * 28.35 g/ounce = 11.34 g of pure ethanol. Observation: in order to "safely" dose your 80 Kg (176 pound) self with alcohol, only half of a single drink at a time should be consumed. So much for "a glass of wine a day is good for you". 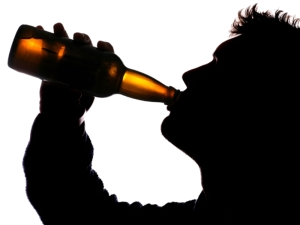 A 110 pound college student could die if they drank 30 ounces of alcohol. Or less. Do NOT try this. Don't even come close to this amount. Obviously it is very undesirable for a child to consume any alcohol. In addition, it is illegal. Still, there are some who do this. Just as there are some that give alcohol to pets. 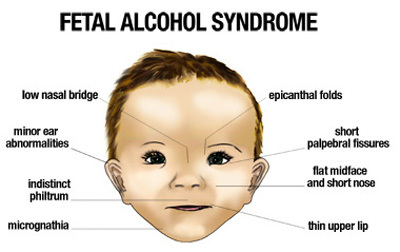 Observation: for a 1 year old child to not suffer from consuming alcohol, one-sixteenth of a "drink" at a time should be considered the absolute limit. This is about one-third of a TEASPOON of hard liquor! So, if your child should accidentally consume alcohol, and they consume more than one-sixteenth of a drink -- a drink being a beer, glass of wine or ounce of hard liquor -- you should treat it as an emergency situation and seek medical assistance immediately. and children should NEVER mix. 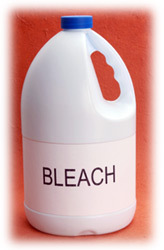 It is recommended that household bleach be added, at 200 mg/l, to well water. The LD50 of this form of bleach is 192 mg/Kg. Let's drink 8 glasses of home-bleached well water. That is about 2 liters of water, at 1000 grams per liter. So we consume 2,000 grams of water (or 2,000,000 milligrams). 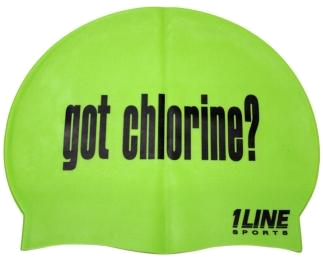 At 200ppm, we ingest 400 mg of chlorine. We will assume our test subject is an 80 Kg (i.e. 176 pound) adult. To standardize our dose, we will compare it to the LD50 dose. 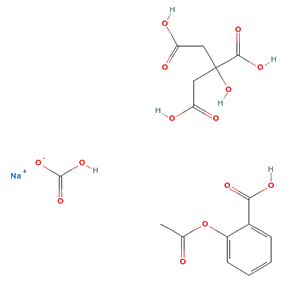 There is monochloramine (NH2Cl), dichloramine (NHCl2) and trichloramine (NCl3). The Di- and tri- forms are more unstable. More. Chloramine in drinking water is set by the EPA at 4 ppm. 8 glasses of chloraminated water, at 4ppm, means we swallow 8 mg of chloramine. The LD50 of chloramine is 1400 mg/Kg, but there are many decay products. Some have much higher LD50s. N-Nitrosodimethylamine's LD50 is 37 mg/Kg (for a rat). Also, Chloramine is a "weaker" germicide, but more stable, so they end up using chlorine as well. The EPA talks about liver damage (at 200 ppm) and the NOEL is 50mg/l. 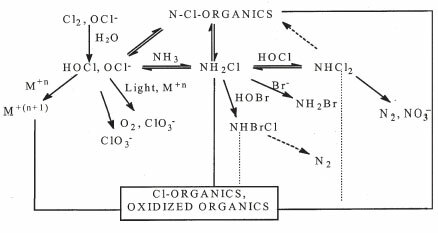 So, at a minimum, it is concerning that Chloramine is added at a level just 12 times lower than the NOEL level, instead of 100 to 1,000 times lower. Salt is the ultimate "unavoidable toxin" because it is essential to human life. 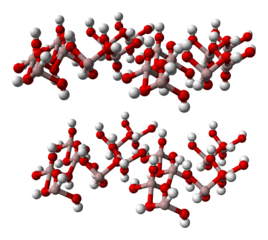 As the picture above shows, salt is a uniform crystal lattice. The larger chlorine atom can be filtered by the kidneys, unlike the much smaller fluorine atom. Recall the rule of thumb that the daily dose should be no more than 1/100th of the lethal dose. The average American is double that. Swedes consumes one quarter of what Americans do. The Swiss, on the other hand, average 10,600 mg/day. Monosodium Glutamate (MSG), is the most well known of a family of compounds called glutamates. Avoidable in some cultures, added like salt in others. For an 80 Kg (i.e. 176 pound) adult, the bodily LD50 is 16.6 * 80 = 1,328 grams (or about 3 pounds). "in clear soup, the pleasantness score rapidly falls with more than 1 g of MSG per 100 ml"
100 ml of water weigh 100 grams. There are about 250 ml in about 8 ounces. So 8 ounces of MSG-enhanced soup would have about 2.5 grams of MSG. 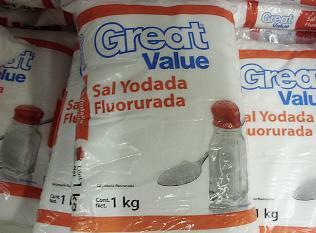 Sadly, some countries sell fluoridated salt. A practice started in Switzerland in 1955, initially the fluoride poisoning was at a lower level: 90 ppm. Today the poisoning range is from 200 to 350 ppm. I wonder what the poisoning level will be tomorrow. Even worse, some countries require that all salt be fluoridated. 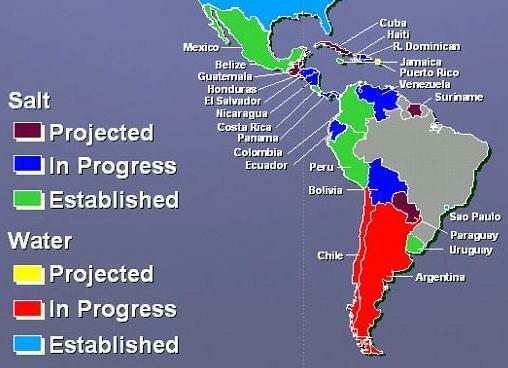 Jamaica, Costa Rica and Columbia all do. Borrowing from the fluoride section below, the LD50 is 50 mg/Kg (for a 10 Kg, or 22 pound, child). 3.5 g, at 350 ppm (i.e. 3.5 g * 0.350 mg/g Salt) is 1.2 mg Fluoride. And the 10.6 gram-per-day Swiss, consuming salt fluoridated to 250 ppm? Himalayan salt -- probably perceived as something of a salt delicacy, or treat -- is salt contaminated with fluoride, at levels of 231 to 310 ppm. The human body does not need fluoride. Human, and animal, teeth do not need fluoride. Yet fluoride is one of the most pervasive toxins in our lives. The toxicity of fluoride is well known and studied. I have a number of pages (and videos) on the subject. When a toxin has an oral LD50 of "less than 50" mg/Kg, it is classified as Category 1 -- the most dangerous category. 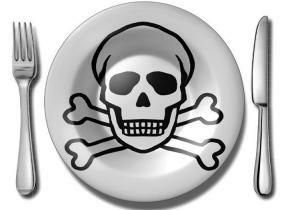 Anything containing such a toxin requires a skull and crossbones be displayed on the packaging. Right away, we should be scratching our heads as to why something more toxic than lead, and almost as toxic as arsenic -- ARSENIC -- is being deliberately added to our drinking water. 8 cups of fluoridated water, poisoned at the "optimum" level of 1 ppm*, is about 2 liters, or 2,000 grams, or 2,000,000 milligrams. So, if we are following our doctor's advice, we are diligently and carefully drinking 2 mg of fluoride poison with our tap water. The LD50 of fluoride is 50 mg (for a 10 Kg child). It won't kill a 22 pound child to drink 8 cups of poisoned water. BUT, that child is over the recommended limit of at least 100 times less than the NOEL. By a factor of four. In short, one part of the government is recommending something that another part of the government says is not a good idea. 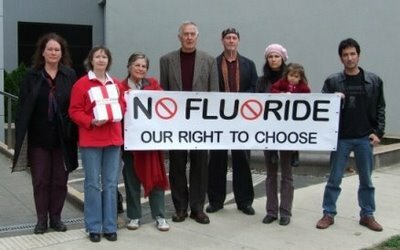 Declan Waugh, has a 166 page PDF report on the "health implications of water fluoridation on disease incidence and mortality in the Republic of Ireland, as well as other fluoridated countries". That child's "safe" dose of fluoridated water is just 2 cups a day. Actually, the "safe" dose of fluorine from ALL sources is exceeded after a 22 pound child drinks 2 cups of fluoridated water. But there are plenty of other sources of fluoride, as we shall see. The EPA MCL (Maximum Contaminant Level) for lead is ZERO. Zero parts per million of lead are allowed in our tap water. Yet it is an established chemistry fact that fluoride is more toxic than lead. They put WHAT in our water?! It is quite a shock that the EPA MCL for fluoride is 4 ppm. "The presence of fluorine as a soluble fluoride in drinking water to the extent of 2 ppm may cause mottled enamel in teeth"
Among other things, "mottled enamel" is an "observable effect". So that sets the NOEL at 2 ppm (or lower). Applying our first principle of toxicology, we immediately realize that the 1 ppm "optimal" level is, in fact, FIFTY times too high! 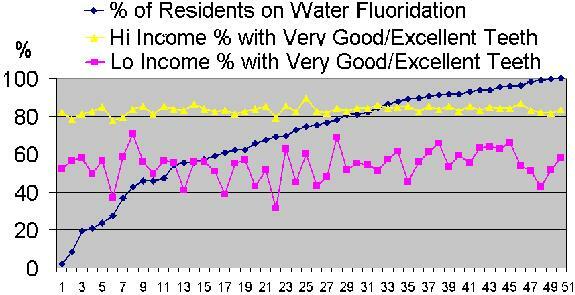 And this is before we consider other sources of fluoride poisoning in our environment. One pound of water is absorbed in a shower. that translates to 0.5 mg fluoride. Green tea has 1 to 5 ppm fluoride. 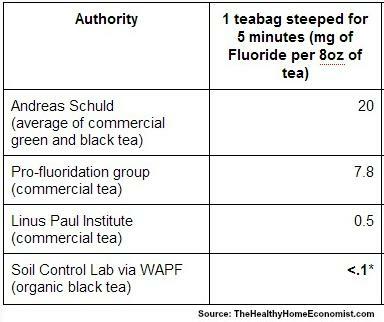 So one cup of green tea can equal 5 cups of fluoridated water. Of course, one cup of green tea, made with fluoridated water equals 6 cups of fluoridated water. 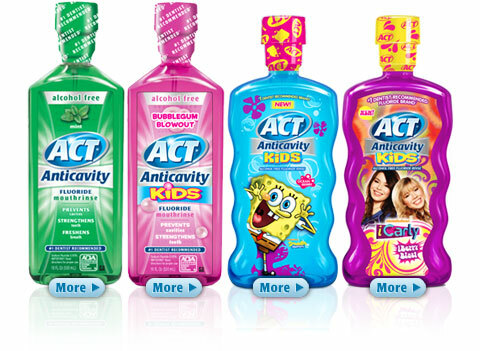 Toothpaste is about 1000 ppm fluoride but some brands have much more. Clinpro 5000 contains 5000 ppm fluoride. Incidentally, a 6 ounce tube of regular strength fluoridated toothpaste contains 45 mg fluoride (with 50 being enough to kill a 22-pound child). Even a "pea" sized amount of Clinpro 5000, weighing just 0.25 grams, results in 1.25 mg of fluoride going into your mouth. Some dentists recommend more than a pea-sized amount. 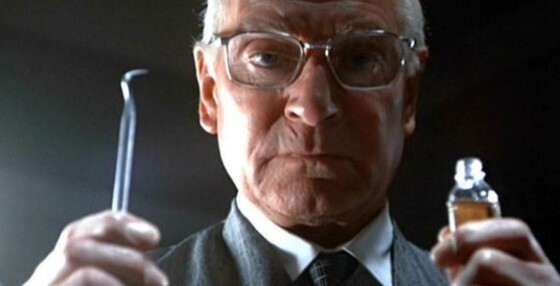 This dentist recommends 1.00 gram. Follow that advice and you put 5 mg of fluoride in your mouth. 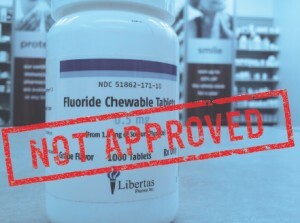 If you swallow just 10% of that, you have consumed 0.5 mg fluoride. "Fluoride drops" -- if ever something was descriptively named, this is it. 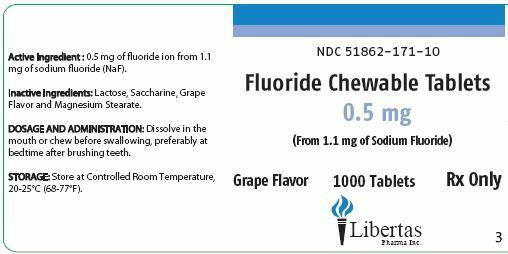 "Sodium fluoride chewable tablets contain 0.25 to 2.5 mg fluoride"
One 2.5mg fluoride pill is equal to drinking 10 cups of fluoridated water. Should schools be giving children 5% of a fatal dose, of anything? Well, how is one to know if they are at high risk? Also, given that fluoride drops are not to be used when one is also being carefully poisoned with fluoridated water, how does the school keep track of who is and isn't being poisoned at home? The "International Anti-Fluoridation Database" keeps things relatively straight. But it is routine for those on one side of the street to be poisoned, while across the street they are not. Do you know which side of the street you are on? Mouthwash is up to 0.2% sodium fluoride (with the fluoride being 40% of that). We'll assume, for the moment, that you try to spit it out, and end up absorbing just 10% of it. Unfortunately, children and patients under one's care are not quite so careful about spitting out their mouthwash. 4 ounces of mouthwash is enough to kill a 5-year-old child. SO2F2, used to fumigate foodstuffs so they won't be healthy enough for bugs to eat, is unregulated. This in itself is mind-boggling. At levels of 12.5 ppm fluoride in brown rice (4.5 ppm in white), an average rice portion size of 3 ounces, results in eating 1 mg of fluoride. Almond eaters have not been left out, with levels of 5.3 ppm fluoride in almonds ensuring they "protect" their teeth with every mouthful. 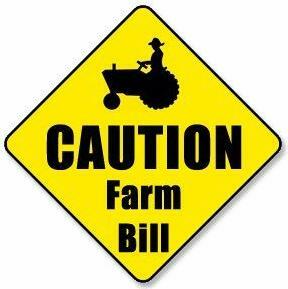 The Farm Bill, passed through the Senate in 2014, increases the allowable levels of sulfuryl fluoride fumigant used in foods from 7 ppm to at least 70 ppm in 99% of all processed foods, 125 ppm in wheat flour and 900 ppm in powdered eggs. Toothpaste, at 1000 ppm, comes with a poison warning and instructions to not swallow it. 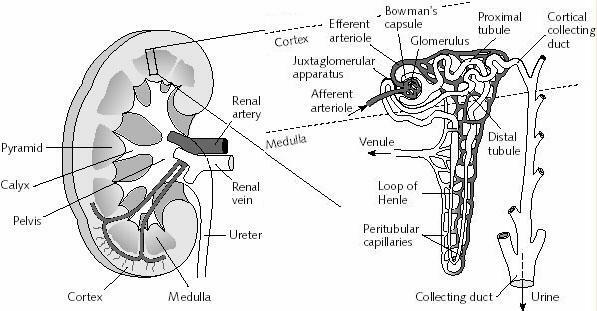 This kidney dialysis page lists the maximum fluoride "contaminant" level at 0.20 mg/L. Fluoridated water, mandated for 70% of Americans, has 1.00 mg/L fluoride. Dialysis treatments take 2 1/2 to 4 1/2 hours. Patients will use 400 liters of water per week (100 US gallons). With 3 treatments per week, about 133 L per treatment, 133 mg of fluoride would be absorbed per treatment. 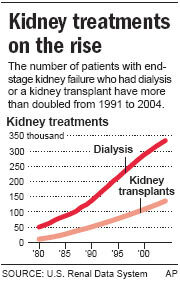 Putting dialysis, by itself, right at the edge of tolerable. Fluoride is filtered out of kidney dialysis treatment water. So why do we drink it? Let's perform the same analysis, only for chlorinated water, using our earlier 200 ppm chlorinated water figure. In one 133 L treatment, 200 ppm translates to 133 * 200mg = 26,600 mg of chlorine. The LD50 was 192 mg/Kg, times 80 Kg, equals 15,360 mg. Note: unfiltered chlorinated water is not used for kidney dialysis treatment. So why do we drink it? Dental gels are unregulated. Boggling. 20,000 ppm is typical. And quite insane. Up to 100 mg in your mouth in a single treatment. We'll first assume you swallow just 10% of this. Even the LOW daily dose is 14 times too high for a 22 pound child. Several individual sources -- mouthwash, water and fumigated food -- are at the limit, by themselves. They love poisoning us A dental treatment is 20 times higher than recommended. And up to a a fatal 200 times, if you swallow it. This document says the canine "No Observable Effect Level" is 31 ppm, so the 100 to 1000 times less than NOEL rule-of-thumb would put the safe ingested fluoride level in dog food at about 0.31 ppm. Sadly it appears that dog food contains one THOUSAND times more than this -- up to 460 ppm (thanks to the federal government allowing "deFluorinated phosphate" to be sold to feed producers). Further research pointed to cancers, etc occurring at much lower levels, leading to much lower NOELs, and thus an even more criminal state of current pet food. This page cites bone meal as the main contributor to high fluoride levels, with bone cancers detected at 0.011 mg/Kg dog food, but dog foods containing up to 11 mg/Kg fluoride. These numbers are the opposite of what they should be. It should be the dog food containing the smaller (i.e. 0.011 ppm) amount, and the standard being the larger (i.e. 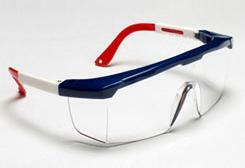 11 ppm) value -- that would provide the 1,000 times less than NOEL safety factor. As it stands, dog food has 1,000,000 times too much fluoride. 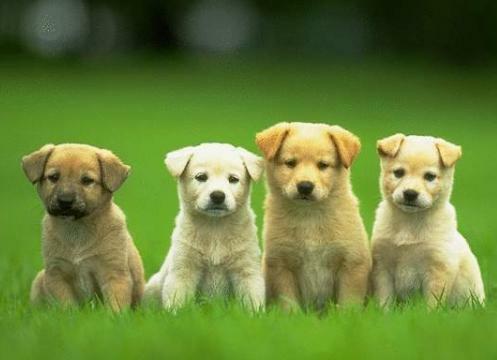 Tip: Pet owners can try to obtain dog food that does not contain bone meal or animal "by-products". 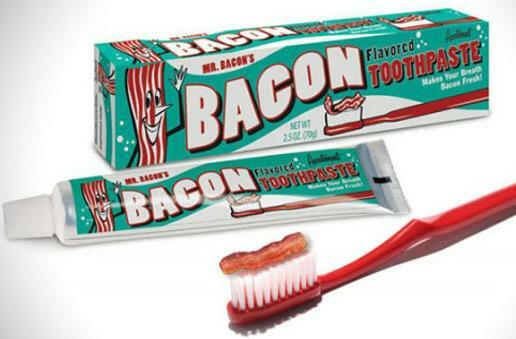 This should greatly reduce the fluoride content of the dog food. The Low Daily Fluoride Estimate produces a risk 2.5 times greater than that from average alcohol consumption (which, at one drink a day, is twice the "considered safe" level) AND a risk equal to consuming the nicotine alone from 12 cigarettes. The "Handbook of Chemistry and Physics" says that the safe exposure concentration, if you have to work with fluoride for 8 hours a day, is 1 ppm. 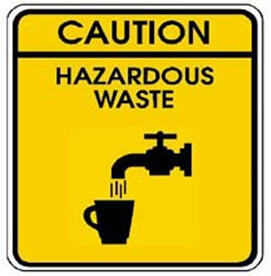 So, the amount of fluoride added to municipal water supplies is the LIMIT of what is safe to be around all day. Ignoring all other sources of fluoride. But at least treating it as the true toxin that it is. Does fluorosis make my legs look thinner? This would be barely tolerable if fluoride was an unavoidable water contaminant. It is patently ridiculous to do this deliberately. Lifeguards and others having to be around fluoridated water all day should sue. People forced to live with fluoridated water are at their limit, from this one source, so should not contact fluoride in any other way. No one in a fluoridated area should use fluoride toothpaste, dental gel treatments, or have it deliberately added (in the form of a fumigant) to their food. Green tea, rice, almonds and other high fluoride foods are also not options to those being fluoridated. 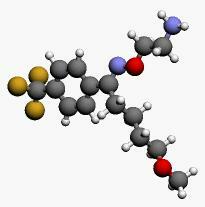 Treating a potent toxin as something "good for you"
It takes 10 W/Kg to kill a human with heat. 10 W/Kg * 80 Kg yields the cook-a-body dose of 800 watts. The first law of toxicology says no human should be subjected to more than 1% of 800 watts. So we arrive at 8 watts, spread over the entire body, as about all we can handle. The average male adult has a surface area of 1.9 m2. 8 watts, spread over 1.9 m2, is 4 watts/m2. In microwatts, that would be 4,000,000 micro watts/meter2. And in fact this is where we are today. According to the industry-approved International Commission on Non-Ionising Radiation (ICNIRP), "an independent voice in NIR protection". But other organizations recommend less, and often much less. Levels of just 1 uw/m2 are now considered ideal. A million times too much -- what gives? As the documentary movie "Resonance" says, we are "beings of frequency" and microwaves are at human frequencies. The word "pervasive", commonly appearing in the phrase "pervasive computing", is especially true for microwave radiation. 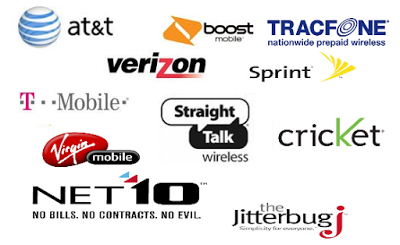 Among researchers not in the pocket of wireless companies, microwave radiation (i.e. 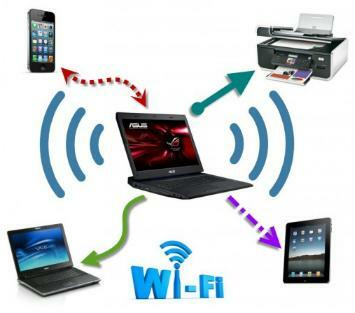 wireless/cell phone/Wi-Fi) is the most likely cause of Colony Collapse Disorder. Mercola.com agrees. Sadly, all it takes to keep the harmful effects of microwaves off the nightly news is advertising. Lots of advertising. From wireless companies. It is difficult to overstate the wireless radiation threat. For starters, there is vastly greater dose variation from microwaves than from fluoride, tobacco, alcohol, etc. With the latter, dose variation from one person to another is a maximum of a factor of one hundred. One person could be exposed to 100 times the tobacco smoke, or alcohol, or fluoride, of another person. With microwave radiation, the dose varies up to a million times. That's one hundred million percent. 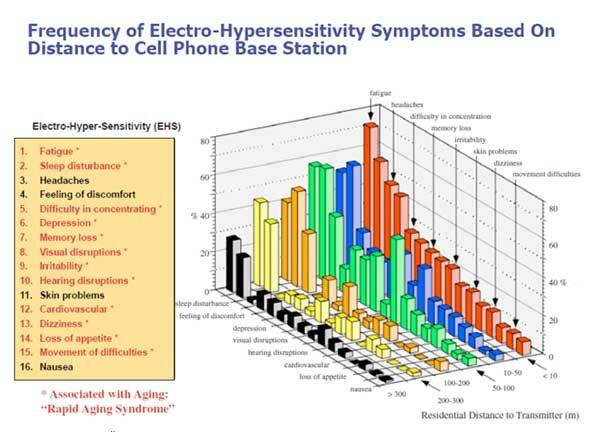 Live near cell phone towers, and you get a thousand times the radiation. I know this from personal experience. And, as wireless speeds go up, so does the microwave radiation dose. Have wireless networking in your house, with that wireless router right at your desk, and your radiation exposure is 25,000 times too high. It seems computers are less hurtful when they are cable networked. They are certainly faster, more reliable and more secure when cabled. Based on the most recent published safe levels, there is no wireless router, no cordless phone, no cell phone, no cell tower, no DECT-based baby monitor, no microwave oven and no "Smart" anything that puts out levels humans should consider safe, and comfortably live with. An extensive and important subject in itself, you can learn more from my wireless radiation articles: Microwave Radiation: A Wolf In Sheep's Clothing and Wave 2: Microwave Hell Is Coming. Keep in mind that the numbers reported here are conservative figures. The toxins listed here are probably worse for you than shown. 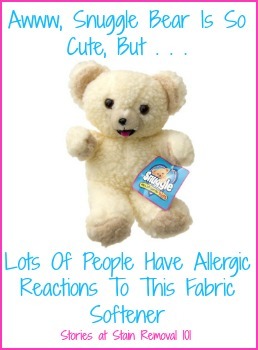 Some toxins, like those in fabric softeners are hard to quantify exposure levels for. But do you need to add "chloroform, benzyl acetate, pentane and Alpha Terpineol" to your freshly cleaned clothes? Salt, either just in the yellow (average consumption) or green (recommended consumption), shows our calculations are reasonable. Interesting that drinking "bleach water" ranks the same as too much salt. Swimming in chlorinated water makes an even worse showing, confirming my own distaste for swimming pools. It is no surprise that tobacco and alcohol are harmful, but let's give a shout-out to pharmaceuticals. Even the "safest" drugs dip into the yellow section, with one common "got a cold, take a pill" holding down solid positions in both the yellow and orange sections. Gotta love Big Pharma -- always keeping someone's best interests in mind. It might be a surprise to some that Fluoride is so harmful. Still, twenty two individual entries -- ten yellow, six orange and eleven red (five of them fatal, in fact) -- makes it hard for trolls to blow off anti-fluoridationists with the standard "crackpot" label. No doubt the biggest shocker is that wireless radiation is perhaps the biggest threat of them all. Essentially unregulated, with wild dose variations and ever-increasing energy levels, microwave radiation has truly earned its "best kept secret" award. Need to sound off, or want to add a toxin? 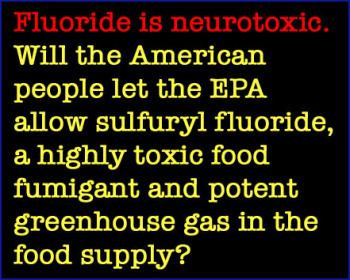 * - In 2011, the U.S. lowered its recommended level of fluoride to 0.7 mg/L. Did your water supply adjust?